As an aside, though not necessarily related to the OP, are 2,000+ scraps of writing found in the 5th Dynasty, much of it in hieratic script, collectively known as the "Abusir Papyri". "The archive details the complex administration of the temple, including rotas for all temple duties, records of monthly inspections and audits, and maintenance records." 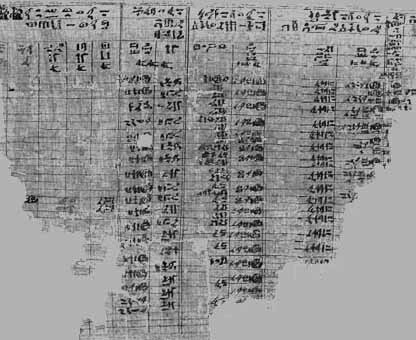 The papyri were found as part of funerary cult records in the temple complexes of Neferirkare Kakai, Neferefre and queen Khentkaus II spanning a period of about 24yrs ending in the reign of Djedkare Isesi. Djedkare Isesi was an interesting fellow who seems to have had a particualrly long reign, perhaps as much as 40yrs. As mentioned before, Djedkare Isesi did not build a Sun Temple as the 5th Dynasty pharaohs before him had and appears to have favored a policy of governmental decentralization which some Egyptologists believe was partly to blame for the collapse of the Egyptian state in the 1st Intermediate Period. Egypt entertained continuing trade relations with the Levant during Djedkare's reign, possibly as far north as Anatolia. A gold cylinder seal bearing the serekh of Djedkare Isesi together with the cartouche of Menkauhor Kaiu is now on display at the Museum of Fine Arts, Boston. The seal, whose gold may originate from the Pactolus river valley in western Anatolia, could attest to wide-ranging trade-contacts during the later Fifth Dynasty, but its provenance remains unverifiable. Edited 2 time(s). Last edit at 01-Dec-17 17:11 by Thanos5150.